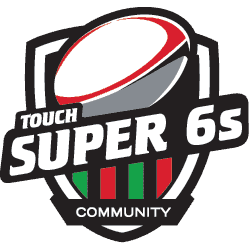 All members and affiliates of the Super 6s are expected to enter all games and training sessions in the spirit of the sport, demonstrating respect and sportsmanship towards players, referees and spectators alike. Negative and aggressive behavior will not be tolerated. Fees must be paid in full prior to the commencement of the league or tournament. Unpaid team entrants will forfeit their games until payment has been received. Members are responsible for obtaining their own Medical/Injury Insurance. The Super 6s will not accept responsibility in this matter. All games will be played in accordance to the Federation of International Touch. Your acknowledgement in the membership registration process confirms your acceptance to the policies and Code of Conduct of the Super 6s and Federation of International Touch.